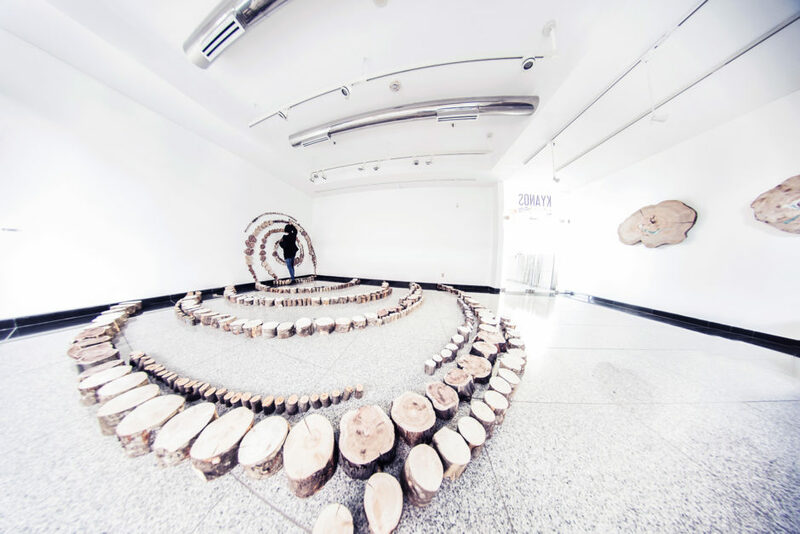 Kyanos is an art and video installation that takes us back to the origins of the world by staging the cyanobacterium, the oldest living organism whose traces were found on Earth about 3.8 billion years ago. It is indeed thanks to this unicellular micro-organism that life was made possible on our planet by a process of carbon fixation which made it possible to release dioxygen, that is to say; oxygen. Far from claiming to be a scientific or didactic exhibition, Kyanos is rather a poetic and conceptual work that proposes to confront us with our own origins and our existence which ultimately results from a succession of favorable and fortuitous circumstances. It is this exciting story that is represented here.